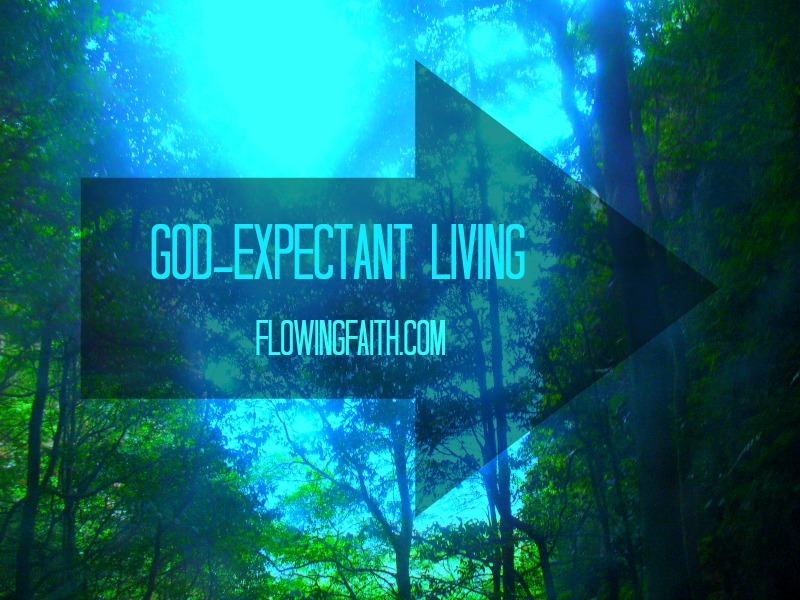 Are you God-expectant? God-ready? These two words stopped me in my tracks this morning. Am I truly God-expectant? Am I God-ready? Or am I just going with the cultural flow? I know I want to be God-expectant and God-ready. I think you do too. But are we? Do you live your days with an air of expectancy? Are you ready for God any time. Are you ready for Jesus to come back any day? We need to let God search our hearts and show us the true state of our hearts, minds, and hands. Because wanting to be God-expectant and God-ready is not enough. We need to live that desire out in our lives and be all that every day of our lives. By the grace of God. We are called to be brave and strong. We are called to be alert and focused on God. We are called to expect God to move mightily in our midst. We are called for God-expectant living. Every God-given breath we take. and God-expectant every day of my life. Show me how to live the way you want me to. Draw me closer and closer to you. Make me holy as you. Q4U: How can you be more God-expectant and God-ready? Be blessed, my fellow pilgrim, as you embrace God and his grace for all there is for us.